"The Abingdon Children s Sermon Library" offers preachers, and others who give the children s sermon, a ready resource of children s sermons that require little or no preparation and help take the panic out of preparing and leading the children s sermon time. For volume 3, series editor Brant D. Baker has again assembled a talented group of contributors from across the country to provide creative and biblical-based sermons that can be adapted for various age group needs. 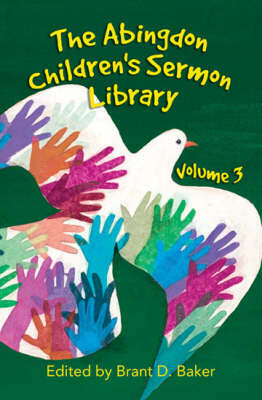 This third volume includes: An expanded introduction that guides leaders in using the sermons to "let everyone play" (adults and children alike) Themed sermons for all seasons A summer sermon series on taking a walk or hike The clever "Bethlehem Bakery" series for the Sundays of Advent, Christmas, and Ephipany."